For the first time, the Department of Justice (DOJ) has fired a shot at a physician owned distributorship (POD). In the case, the DOJ suit claims that the ownership interest of a neurosurgeon in a spinal surgery device distributorship has caused him to perform unnecessary surgeries. PODs distribute various things, most commonly surgical implants and devices, that are reimbursed by insurers. A patient needs a spinal rod, a surgical implant/device company makes it and a distributor rep distributes it. Device/implant companies usually contract with distributorships to sell their products. Distributorships contract with reps who are paid commissions for sales. PODs are one way for physicians to financially benefit from the sales of devices and items their patients need, but they have never been more controversial than now. Conceptually speaking, PODs are controversial because government regulators think physicians who have an economic stake in health care items or services overutilize them. In the new case, for instance, the DOJ alleges that the doctor’s use of the devices in question spiked when he became an owner of the POD. 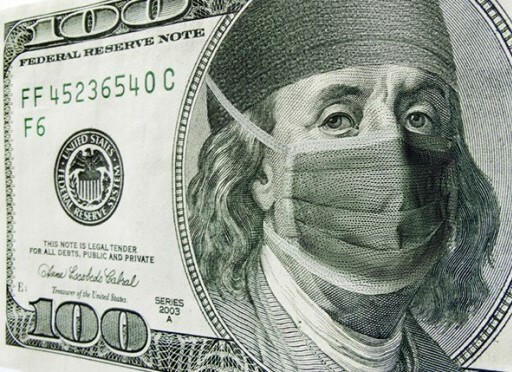 Moreover, there is specific concern that allowing physicians to profit from the devices their patients need violates federal anti kickback laws or the Stark prohibition on compensation arrangements. That’s exactly what the OIG thinks; and physicians who are owners of PODs can expect to be investigated by the feds. And now in this first case of its kind, physicians involved in PODs will need to watch closely! Implantable medical devices are unusual in the way they come into use. Unlike DMEPOS, for instance, medical devices are not sold to distributors. They’re sold from the manufacture to the medical facility where the surgery will take place. So, the argument goes, physicians are not actually in a position to drive the sales volume of the implants. The counter: physicians invested in a POD can leverage their hospital admissions to influence the device choice of hospitals and surgery centers. The biggest legal hurdle for PODs is the federal Anti Kickback Statute, which carries both criminal and civil penalties. Simply put, if even one purpose of an arrangement is to pay for patient referrals, the law is violated. So, the law is arguably violated if one purpose of the POD is to induce physicians to order implants for their patients. Looked at another way, the law is violated if one purpose of a hospital doing business with a POD is to ensure patient referrals by the physician POD investors. Investor choice. If the only investors chosen are surgeons with an opportunity to refer and if they lack any business or management expertise, the arrangement appears to be a cloaked way to incentivize unlawful referrals (i.e. ordering implants). The key question is whether the business, in selecting investors, is looking to raise capital or to lock in referral sources. Risk. If the POD investment involves little or no financial risk, the OIG would likely take issue with it. In this new case, for instance, the DOJ alleges that the physician invested $5,000 and has been receiving a $30,000 monthly distribution. The bottom line seems to be that if there isn’t a real business, with real financial risk and qualified investors, a POD will likely be viewed as a suspicious arrangement based on locking in patient referrals or physician admitting pressure by physician investors. In its June, 2011 Inquiry “Physician Owned Distributors (PODs): Overview of Key Issues and Potential Areas for Congressional Oversight,” the U.S. Senate Finance Committee Minority Staff, the Committee reports “A number of legal and ethical concerns have been identified as a result of this initial inquiry into the POD Models.” The Committee reviewed over 1,000 pages of documents and spoke with over 50 people in preparing its report. The Committee cited long-held concerns regarding PODs, and leaned heavily on the 2006 Hogan Lovells (previously Hogan & Hartson) law firm’s anti-POD analysis. Is the DOJ case the death knell for PODs? Probably not, but the POD industry has reportedly stalled in the face of stepped up government activity. In fact, the activity may have further reaching effects. Many experts in the device industry sector predict not only a hit to their bottom line, but also consolidation. Physicians committed to developing or investing in a POD need to take more seriously than ever (1) the legal risks, (2) the cost of investigation and enforcement, and (3) engaging in the government advisory process. This entry was posted in Advisory Opinions, Compliance Plans, Department of Justice, Durable Medical Equipment DMEPOS, Fraud & Abuse, Healthcare Business, OIG Investigations, OIG Studies and tagged Anti-Kickback, OIG Advisory Opinion, OIG Fraud Alert, physician financial incentive, physician owned distributorships, PODS, Stark Law, surgical implants and devices. Bookmark the permalink. Reblogged this on Joseph Rugg's Health Law Blog.